When you think about seasonal drinks or occasions where you drink special beverages, do you look forward to it in anticipation? Help Coke own frozen sparkling moments with innovative and delicious new sparkling drink ideas that’s unique and different from what currently exists. 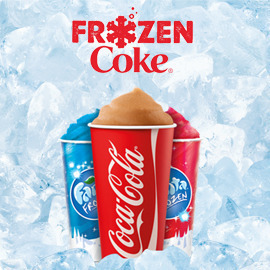 Invent a new frozen sparkling beverage for a season or occasion that will excite and attract young adults that The Coca-Cola Company can serve at McDonald’s. Format: 1 page with visuals and text.